You are warmly invited to join in this beautiful day of singing at The Ceridwen Centre in Carmarthenshire. We will be singing a variety of music from Britain and around the world, some upbeat and rhythmic, some slow and harmonious. 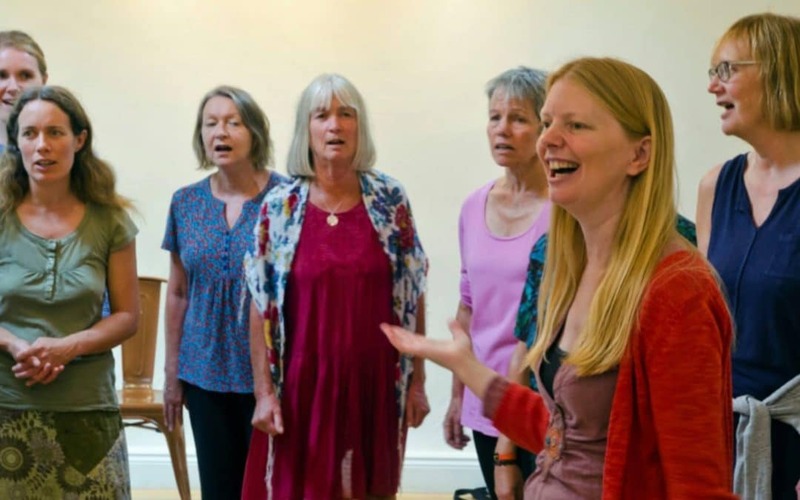 The songs will be interwoven with playful movement, listening and stillness – all of which will help us to get the most out of our voices and out of this opportunity to sing in harmony with each other. I’ll also be including at least a couple of ‘mini-Feldenkrais’ lessons (10-15 mins) during the day. This is a great way to get a feel for what The Feldenkrais Method® is and how it impacts singing and being!